Many guilds will ask for a combination of these lectures, which I am also happy to do. Below find a list of lecture and teaching topics and their contents. Toggle open to reveal more. This approximately one hour long trunk show will include a discussion of my personal sewing history and evolution and how it fits into the modern quilting movement. By showing samples of my own work, I will introduce quilters to the characteristics of modern quilting as defined by the Modern Quilt Guild so that they get a better understanding of what modern quilting is all about! 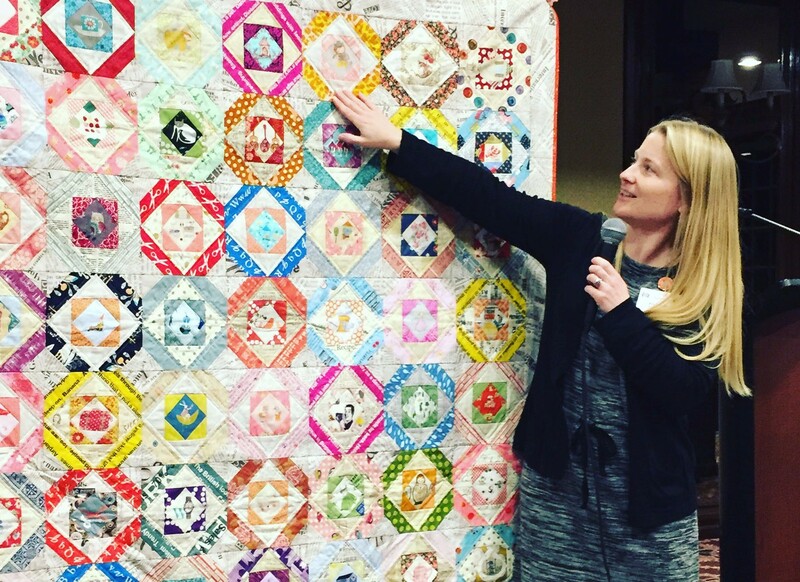 This approximately one hour long trunk show will focus on the quilts found in my book, Intentional Piecing, but may include additional quilts as well. I will use these quilts to illustrate types of fussy cutting and to discuss fabric selection in general. How can you pick the best fabric for a pattern? 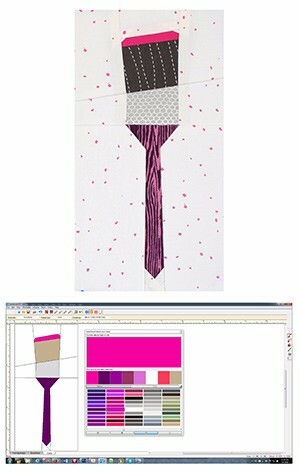 How can a pattern really showcase a fabric design? 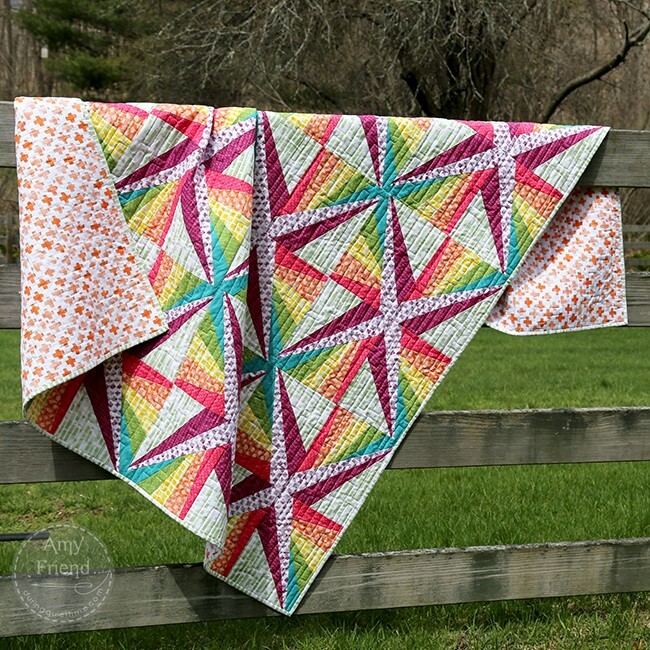 This approximately one hour long trunk show is based on a new design approach that I present in my second book, Improv Paper Piecing: A Modern Approach to Quilt Design. I illustrate through my quilts, how I approach paper piece design improvisationally to create unique, modern quilts. An hour long trunk show will help define alternate gridwork and negative space, two principles of modern quilting. I will share quilts that show how I have played with these two ideas in different ways over the last few years—from just a touch to bold. I hope this gives you some ideas when it comes to planning your quilt layouts. This workshop is based on one of the three design approaches that I share in my second book, Improv Paper Piecing: A Modern Approach to Quilt Design. This class is technique and design based, all about approaching your paper pieced block designs improvisationally. You will design and sew your own block and work on a quilt layout using alternate grid work, negative space and other elements of modern design. Using this fun paintbrush block as an example, students will learn how to draw a simple pictorial paper pieced block in EQ7. I will cover how to import a photograph to trace, to draw your pattern divisions, color your finished block image, export images of your block, how to group your pieces and number them, and save your pattern pieces in a PDF file. This is a hands-on, computer-based class. Students must come prepared with the EQ software installed on their laptop. Lovely person! Good teacher! Very experienced! Great lesson! So inspiring! Better than expected and I expected a lot! Loved it!